The northeastern university was established more than a century ago, in 1898. it is a global and empirical university created on the practice of interacting with the world, and building a unique and research-based approach to education. There are 9 schools and colleges offering different types of undergraduate and graduate programs including PhD programs. The university offers a number of coveted advanced programs in its graduate campuses in Seattle, North Carolina and Charlotte. In addition to offering excellence in experiential-learning based academic programs, northeastern university is also home to a competitive and vivid athletic program, as it supports 18 Division I sports, more than 40 club sports and over 30 intramural sports. The main campus of northeastern university is located in Boston Massachusetts, just 7 miles from Logan airport. It takes just 15 minutes from the airport. The northeastern university admissions policy is highly selective, and this causes its acceptance rate to be relatively lower at 34.5%. The northeastern university is located in a historic area surrounded by pristine rocks and water. The Marine Science Center is especially worth visiting, as it is located at East Point in Nahant with easy access to the shore. This Center is located in a disbanded military base and has modern research facilities, lecture hall, computer lab, dive center and watercrafts. There are a number of athletic centers in northeastern university including recreation centers, physical education centers, the natatorium, squash center and an arena. In addition, there are many points of interest like music conservatory, Sculpture Park, veteran’s memorial and museum among others. The northeastern university library is located at the center of the campus and it has almost a million print volumes, over 200,000 e-books and 70,000 electronic journals. In addition, the northeastern university bookstore meets all the student needs for books, journals and other materials. 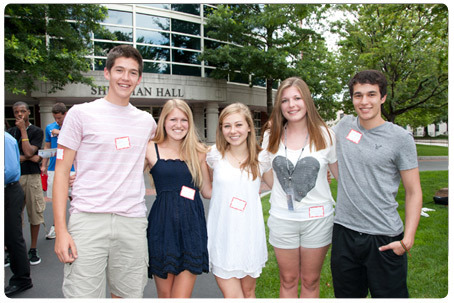 Northeastern provides high-class, on-campus accommodation facilities in a safe environment. There are different types of residences including apartments, conventional hall rooms and suites. In addition, students can also find help in finding off-campus accommodation. There are more than 200 student organizations in northeastern university that give students an abundance of opportunities in socializing. Some of the most prominent of these include the Student Government Association, Resident Student Association, Fraternity and Sorority Life and the Northeastern University Television. The northeastern university has around 90 undergraduate majors and 158 graduate programs offered in a research-based environment. The academics at this university involve integration of experiential learning with classroom studies. Best courses: Some of the top courses at northeastern university include Art and Design, Business Administrations, Bioengineering, English, Health Science, Information Systems, Journalism, Law, Languages, Literatures and Cultures, Mathematics, Philosophy, Psychology, Political Science and Theatre. The overall cost of attendance at northeastern university is more than $55,000 per year. This includes the fees for tuition, room and boarding and other charges. The top 25% of freshman applicants in northeastern university are usually offered merit-based scholarships. This includes the celebrated Dean’s Scholarship. The amount of these scholarships varies between $5,000 and $20,000 during the first year. Thenceforth, the scholarship is awarded for each semester and it could range between $5,000 and $10,000 a semester. Because of the very high northeastern university ranking, it draws students from more than 120 countries. The university’s faculty works in partnership with on-campus colleagues and those from other parts of the world for interdisciplinary research. Today, Northeastern has its alumni spread across 145 countries. The northeastern university jobs give students a chance to get learn community living. They volunteer and work for fundraising events, and coordinate and organize class reunions. The northeastern university online site offers complete information about the university, its academic programs, scholarships, campuses and infrastructure.